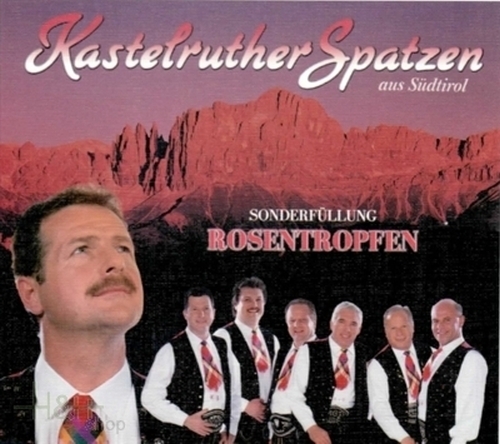 Rosentropfen Edition Kastelruther Spatzen - special filling the Winery Caldaro, South Tirol. DEGUSTation: Bright ruby red. Fresh bouquet, evocative of the scent of roses. Sweet, harmonious and remarkably fresh. Dish ideas: Suited to desserts and sweet dishes.